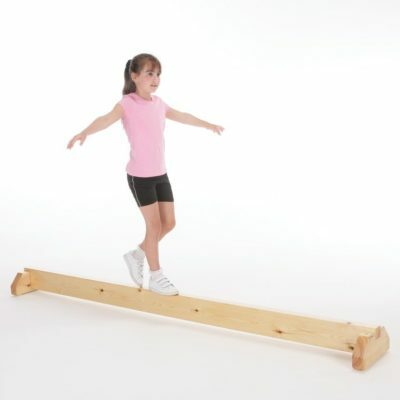 consists of 3 frames each with a different range of activities. easily folded away against the wall. 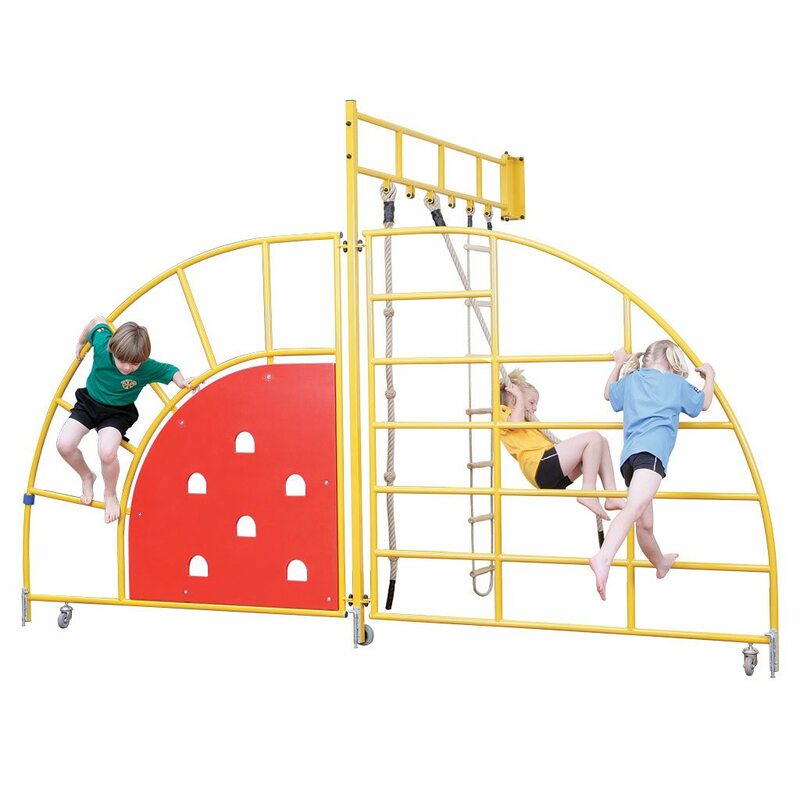 The Gym Centre consists of 3 frames each with a different range of activities. The frames are joined together and open out into a “Y” configuration to present a multitude of activity and linking possibilities. At the end of the lesson the Gym Centre is easily folded away against the wall. The 3 frames folding one on top of another means that only a small wall space is needed. 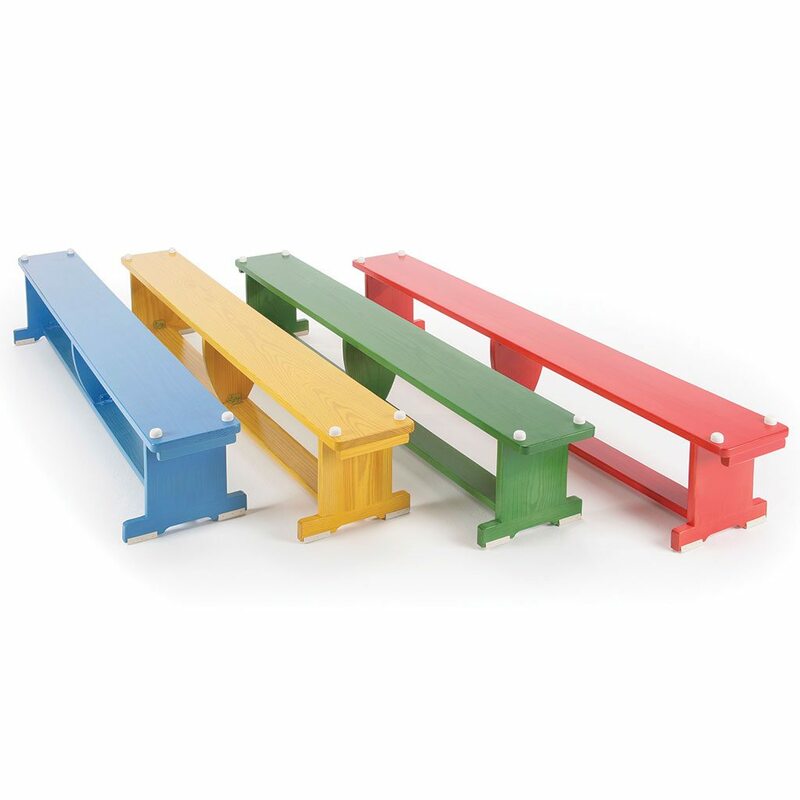 The Gym Centre is equally suitable for use with traditional gymnastic equipment such as benches, ladders etc. Space requirement for the Gym Centre fixed in a “Y” shape: 3m from wall x 3.5m wide. A further 2m circulation area around the equipment is recommended. The Gym Centre is available either as supply only or can be installed for an additional fee.